Norty joins The British Beard Club! In which G.M. 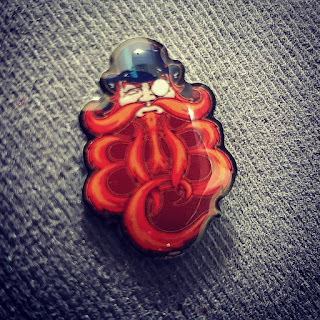 Norton joins the brethren of bearded brothers. Since chopping off the over-sized soup strainer and relinquishing my membership to the prestigious Handlebar Club, I've felt a little lost. There's something about being in a gang. Alas, the gangs that congregate where I live aren't really the sort of fellows that I'd like to spend time with, or vice versa. 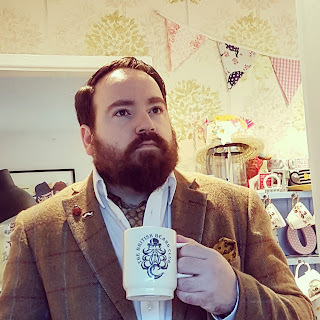 So a couple of weeks ago, I applied to become a member of the British Beard Club and I'm tickled pink that they granted me admittance. Look, I have a certificate and everything. Annual membership is £10 and upon joining, members receive a pin badge, certificate and email subscription to their Split Ends newsletter. As membership is renewed every February, I paid a half-year subscription fee of £5.50. Most of the subscription goes to Prostate Cancer UK, so you also get to feel almost as fuzzy as your beard. 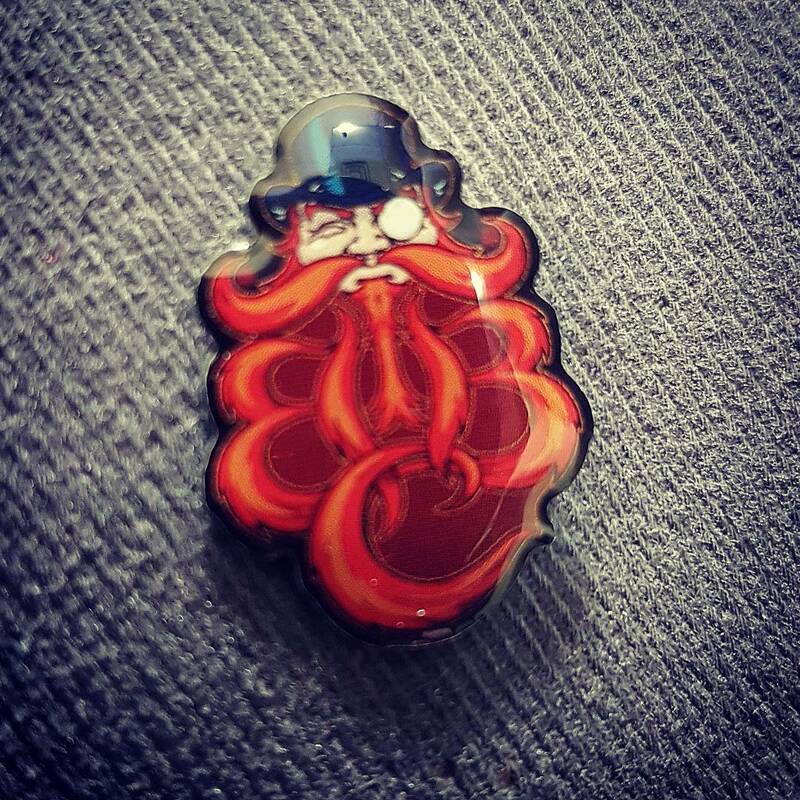 In my short time as a member, I've found The British Beard Club to be such a friendly bunch of bearded chaps, taking the time to check that my lapel pin safely arrived and making me feel so very welcome. Honarary President, David is heavily involved in the Handlebar Club so both clubs are the best of hairy chums. Isn't the lapel pin handsome? Members can also purchase a moustache cup, with the little ledge that protects one's whiskers from getting wet. Naturally, I couldn't resist. It feels good to be part of a club again. Norton of Morton turns 5 today!